Kelly the Boy from Killane written by Patrick Joseph McCall, is a song about the exploits of John Kelly (died c. 22 June 1798) who lived in Killanne in the parish of Rathnure and was a United Irish leader who fought in the Irish Rebellion of 1798. While Kelly was obviously well known to rebel and loyalist alike during the short duration of the Wexford rising, almost nothing is known of him outside this time. He was one of the leaders of the rebel victory at the Battle of Three Rocks which led to the capture of Wexford town but was later seriously wounded while leading a rebel column at the Battle of New Ross. Kelly was under orders from the Wexford commander Bagenal Harvey to attack the British outposts around New Ross but on no account to attack the town itself is recorded. The rebels outnumbered the British forces and so Harvey sent a messenger to give them an opportunity to surrender. The messenger was shot while carrying a white flag. This angered the rebels who began the attack without receiving the official order from Harvey. Kelly’s column of 800 men attacked and broke through Ross’s “Three Bullet Gate” and proceeded into the town itself. After initial success, they were eventually beaten back by British troops and Kelly was wounded in the leg. He was moved to Wexford to recuperate but after the fall of Wexford on 21 June was dragged from his bed, tried and sentenced to death. 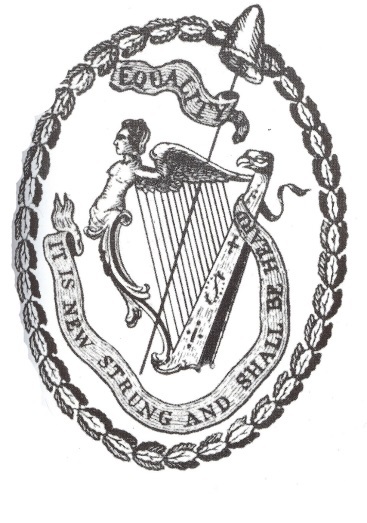 He was hanged on 25 June 1798 along with seven other rebel leaders on Wexford bridge, after which his body was decapitated, the trunk thrown into the River Slaney and the head kicked through the streets before being set on display on a spike. John Kelly the boy from Killane is now one of the most celebrated names from the 1798 Irish Rebellion. However, little was known of him until the Irish songwriter P J McCall wrote the song that bears his name and made him famous. And although McCall’s song sounds as though it came right out of the heat of battle in 1798, it wasn’t written until 1911 – more than a hundred years later. 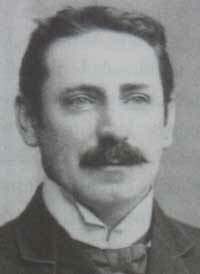 Patrick Joseph McCall (6 March 1861 – 8 March 1919) was an Irish songwriter and poet, known mostly as the author of lyrics for popular ballads: "Follow Me Up to Carlow", "The Boys of Wexford", "Boolavogue", "The Lowlands Low" and "Kelly the Boy from Killanne". He was born at 25 Patrick St, Dublin, Ireland, the son of John McCall, a publican and grocer. He attended St. Joseph’s Monastery, Harold's Cross; a Catholic University School. He spent his summer holidays in Rathangan, County Wexford where he spent time with local musicians and ballad singers. He also collected many old Irish airs, but is probably best remembered for his patriotic ballads. He was assisted in putting the Wexford ballads, dealing with the 1798 Rising, to music by Arthur Warren Darley using traditional Irish airs. Straightaway we feel the excitement and anxiety experienced at that time with people trying to keep up with a rapidly changing situation during the rebellion. At the start of the song the news is good because the rebel troops are preparing to march the next morning, and the best news of all is that they will be led by Kelly the boy from Killane. We know that John Kelly was from a prosperous merchant family but there are few historical references to him. This allows McCall to use a little poetic license in describing him. Kelly is portrayed as a giant with gold curling hair. He is over seven feet tall if the song is to be believed, and he looks like a king in command as he rides ahead of his troops. It’s likely that this is not to be taken literally but rather that McCall is trying to portray a charismatic wartime leader. The song retains the feel of a news report in the third verse as we learn that rebels have taken Enniscorthy and Wexford. The narrative then changes to what is about to happen the next days as the rebels prepare to cross the River Barrow at Ross. We hear that the overall leader will be Bagenal Harvey but even so it is Kelly who attracts the most praise as the “foremost of all in the grim gap of death”. This description seems to be quite accurate because when the rebels stormed Ross, Kelly was indeed at the head of the fighting. The final verse changes from contemporary news report to a history lesson as we learn that the rebels were defeated at Ross after being betrayed by traitors and slaves. The song ends with a call to honor the rebels who had died “for the cause of long downtrodden man”. And the greatest roll of honor is preserved for the dauntless Kelly, “Leinster’s own darling and pride”.